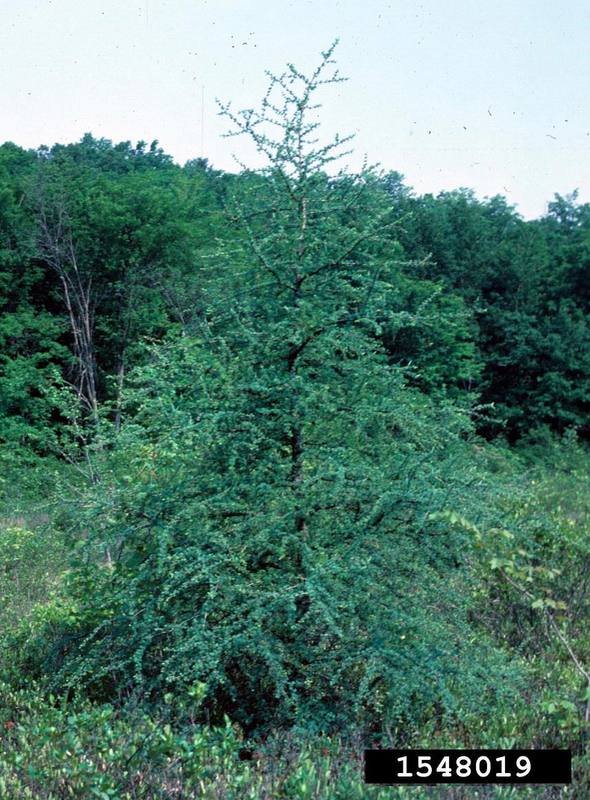 The American Larch, Larix laricina, is the Ewing Township Environmental Commission’s choice for the Tree of the Month. This specimen, located on the Mountain View Golf Course, is one of several Larches on the second hole, which is named for the Larch. It is a native tree which ranges from northern Canada southward to New England and northern Pennsylvania and west to Illinois and Minnesota. Its hardiness range is said to be zones 1 through 5 although Ewing is in zone 6; it is supposed to hate the heat. This Larch species, also known as Tamarack or Hackmatack, is a pyramidal tree which can grow from 40 to 80’ high and spreads 15-30’ . Its needle-like blue-green leaves (3/4 to 1 ¼” long) are deciduous, turning yellow in the fall, and drop off in the cold weather. The leaves are on short spurs in bundles of 12 to 30. The small cones, 1/3 to 2/3” long, become visible after leaf-fall. 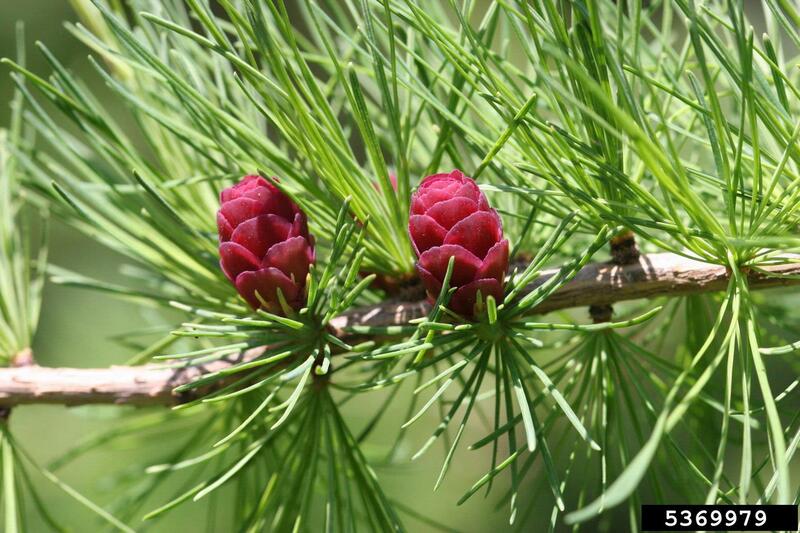 Larch has a slow-to-medium growth rate, prefers moist, well-drained acid soil, and requires full sun. It is very intolerant of pollution and shade. Unfortunately, this tree is victimized by several insects and diseases, but if living conditions are good it is less susceptible to these problems. The wood is listed as “waterproof” and is very resistant to rot. It is used for boat building and for other structures exposed to water.